Mitt Romney's family poll: The 10-month-old "scoop." Tagg Romney, right, the oldest son of Mitt Romney, left, was one of only two family members in favor of a presidential run when 12 members of the family held a vote in 2010. As we knew last August. Fellow scribes, it’s tough to admit this, but it’s time. Most of the time and money spent covering Mitt Romney’s quest for the presidency, from the comped CNN Grill at the conventions to the Wi-Fi bills at the debates to the exorbitant campaign plane charges, would have been better spent elsewhere. The campaign as a campaign was vacuum-sealed and sort of pointless. Attention-grabbing, but not new. During the campaign, Romney’s oldest son, Tagg, cited this story as proof that his father, far from the kind of guy who’d write off 47 percent of voters, was humble and not calculating. Michael Barbaro, one of the Romney beat reporters at the New York Times, reported the “family vote” story in August 2012. Mitt, Ann, and their five sons and daughters-in-law convened at the beach house for a quadrennial ritual: a family vote on a presidential run. The decision had been unanimous in 2006, but this time around, the enthusiasm was gone. 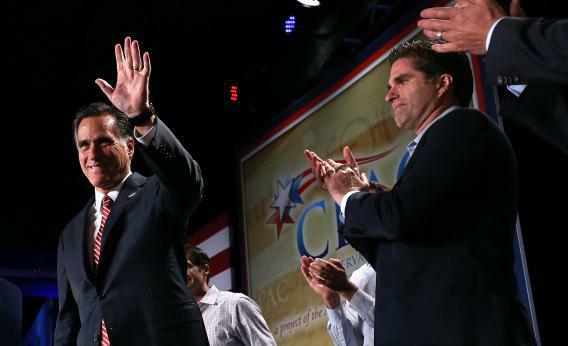 There was a good chance he might not make it through the primaries, Mr. Romney warned, anticipating scrutiny of his Massachusetts health care plan and his Mormon faith. “Why go through the process just to lose again?” he asked, one relative recalled. The vote was 10 to 2, with only Ann and Tagg favoring a run. Over the next few months, Mr. Romney told his family three times that he had decided against a race. After all the planning, he had flinched. Then he stopped flinching, obviously. No knock here on Stein or Balz, but Mitt Romney wasn’t really a riddle wrapped inside an enigma wrapped inside a business suit.